A few month’s ago the internet birthed a funky cool little group reading big important thought provoking books. You can click over to Entomology of a Bookworm and get the whole back story of the Social Justice Book Club (who doesn’t love an origin story?). 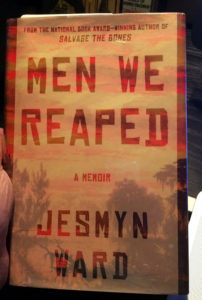 This month the Social Justice Book Club is reading Jesmyn Ward’s Men We Reaped and I’m all in. I have my copy and ready to get started. I have no idea what to expect, but based on the SJBC’s past picks, this will be a worthwhile read. Most of the folks reading Men We Reaped are doing an introductory post. So I hope this post qualifies. 1. Where do you plan on discussing this book the most? I’ll probably be the most chatty here on my blog, though I am on Twitter and follow the #sjbookclub hashtag there. Also, I will definitely find a conversation and talk about it on LibraryThing. 2. Where in the world are you reading? I am in Birmingham, Alabama. 3. Why did you decide to join in on the reading and/or discussion of this book? This is the first SJBC choice that I have not already read and I’m ready to give it a go. Most of the ‘social justice’ books I pick up tend to be analytical and history driven. Not dry, just rooted squarely in cause/effect and pattern issues. Men We Reap sounds to be a very personal story, which is a welcome change from what I’ve been reading. 4. What, if anything, are you most looking forward to about this book? I can say with 100% certainty that I would not have picked up this book browsing on my own. Ward’s experience sounds horrific and I want to hear her first-hand account of what’s happening around the country. Mark Zuckerberg has tapped a science fiction book as his next Facebook book club pick. 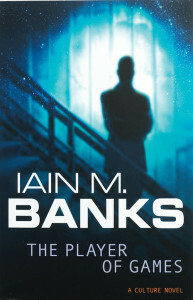 According to a post on Facebbook, Iain M. Banks’ sci-fi novel The Player of Games will be at the center of the group’s next discussion. Zuckerberg has been choosing a new book every two weeks since the beginning of the year. This one is a little bit of a departure for the A Year of Books list as it’s not a straight up business/community improvement/social science book. The selections started with Moisés Naím’s The End of Power and Harai’s Sapiens was the latest and 12th pick (which the book discussion on Facebook looked pretty interesting). But The Player of Games seems fitting all the same. This book is Book Two in Banks’ ten-book “The Culture” series which technology (thanks to aliens) is accelerated with the help of creative folks to ideally serve mankind way off in year 2083. I have not read this series yet, but am certainly familiar with them, as it was started in the late 1980’s. But from the conversations I’ve heard, the plot lines are very well thought out and you wind up having meaningful debates about what it means to be human, the pros/cons of technology on us and of course – aliens. I’ve never participated in any of the previous A Year of Books discussions, but this one may very well be fun to follow. No doubt the talking points will be far and wide, which is great, especially when they are focused on serving others and improving things. Of course, I haven’t read the books… maybe it all crashes and burns. We’ll see. Have you read anything from Iain M. Banks’ “The Culture” series? Just after World War I things were changing at a rapid pace here in Birmingham, AL. It was against this hasty backdrop of industrialization, cosmopolitan awareness and a sense of “popping up overnight” that the Magic City got its nickname and its first official working writers workshop – The Loafers. I ran across this entry on BhamWiki.com and had to know more. So I trotted off to the Linn Henley Library and found the bound archived April 1977 issue of The Alabama Review. After reading the article I was blown away at the velocity with which The Loafers cranked out their articles, books, plays, screenplays, essays and short stories. 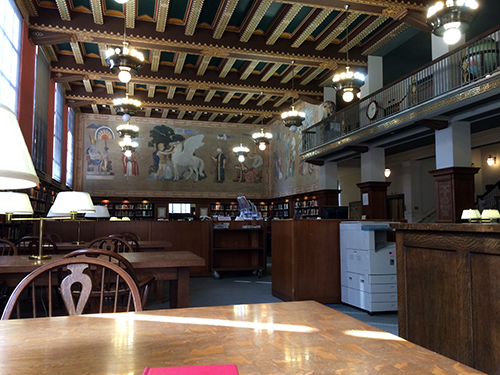 Made up mostly of newspaper folks, almost all of the original dozen or so members had pieces published in Harper’s, Munsey’s Magazine, The Saturday Evening Post and they even had a couple of O.Henry Prize winners among their ranks. Roster and occupations of the first members of The Loafers. The group was founded, in the late 19-teens and early 20’s, by journalist Octavus Roy Cohen, who also wrote fiction, plays, and scripts for Hollywood. He wrote about black life in Birmingham, but one of most popular books was The Crimson Alibi, a detective novel that also made it onto Broadway as a play. In the 1920’s, Cohen lived in the Diane Apts. on 21st St. South and writers flocked to his place. During gatherings of the literary club / writers workshop, writers would review, critique and edit each others work. As well as cheer and jeer rejection slips, reviews and sales of their books. Adjusted for inflation that comes to more than $1.4 million dollars a year this writers workshop was bringing home. The second generation of The Loafers was lead by Jack Bethea who was another newspaperman and the first editor of the Birmingham Post way back in 1921 when the paper was founded by Scripps-Howard. His group and the dozens after his were just as prolific as the first members. What I haven’t been able to find is an approximate date of when The Loafers quit meeting and why. Birmingham has been flush with colorful story tellers ever since and we certainly have the setting and history to craft compelling fiction. I wonder why it disbanded. 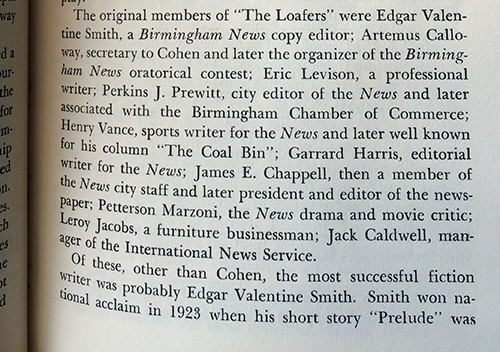 Or better yet – I wonder who would be on the roster if The Loafers was still going strong in Birmingham today? 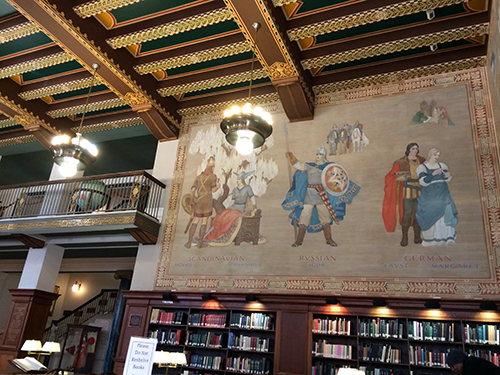 Of course, if that doesn’t pique your interest, as you can see from these photos, it’s worth it just to pull up a chair in the library reading and “set a spell”.